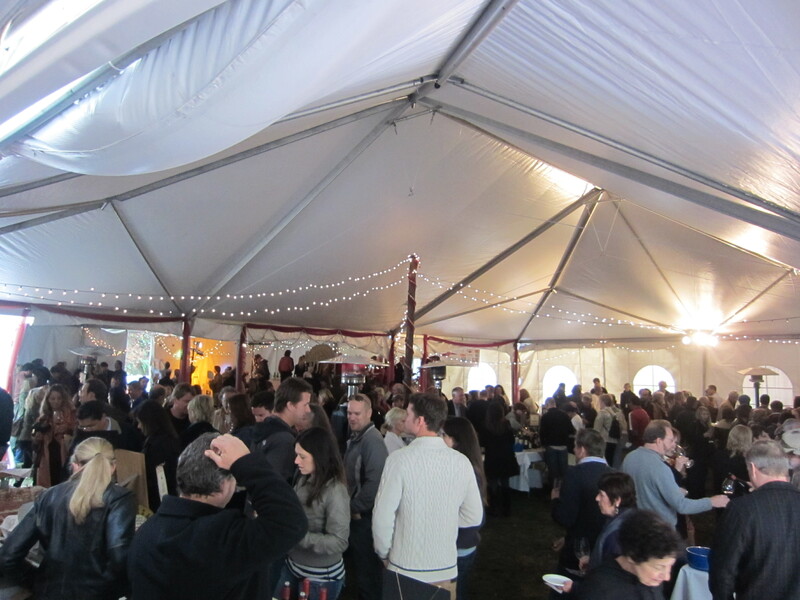 Do you know how fun it is to spend a few hours drinking unlimited wine from multiple wineries and nibbling on food freshly prepared by chefs under a big giant tent is? No? 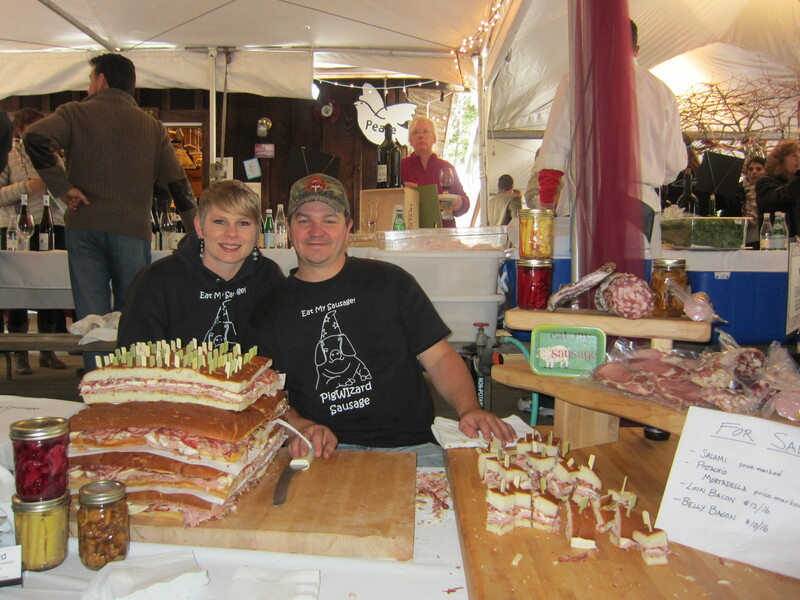 Then set your calender for the Big Sur Food and Wine Festival, which happens in September. 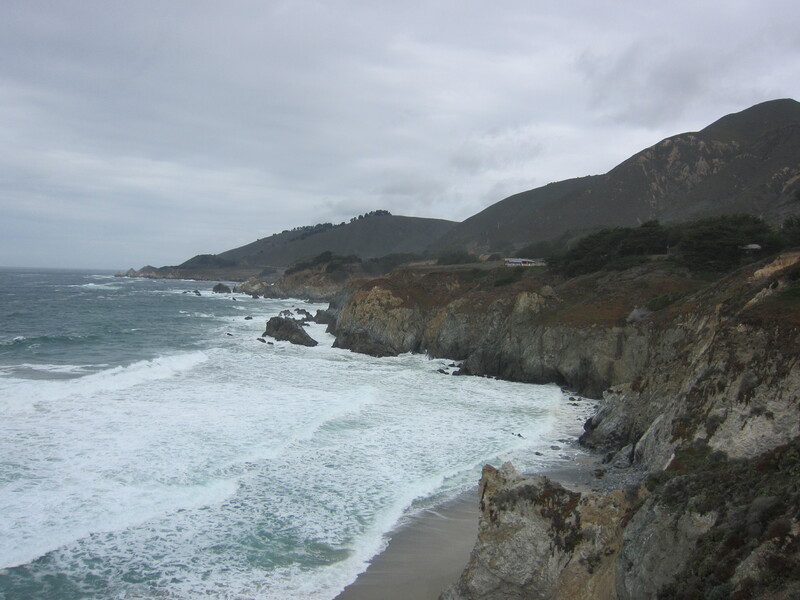 It’s a great excuse to head down to Big Sur for the day or weekend. Even better, proceeds of ticket sales go toward community services. The event is a home-grown affair, started and run by people passionate about where they live and with a sincere interest in making their community better. 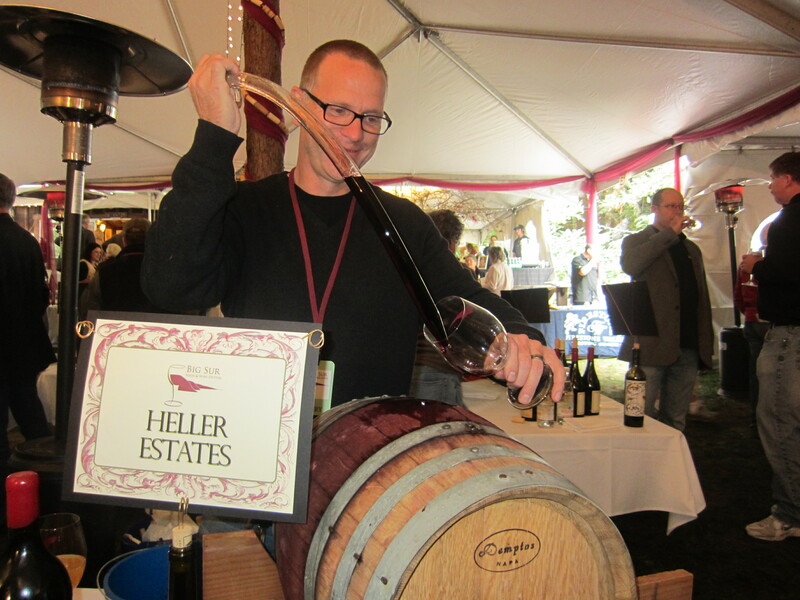 Along with two friends of ours, Hubby and I drove down for a weekend of wine, food and fun. 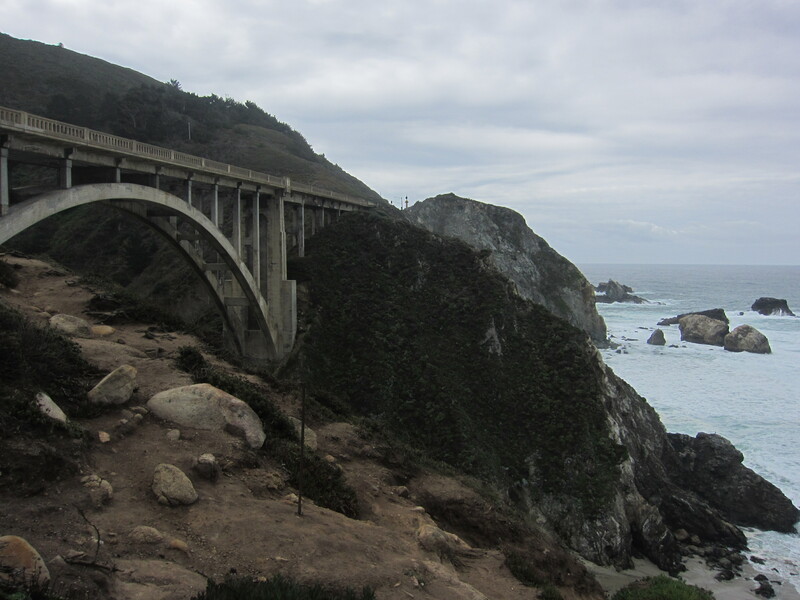 Just a few hours from San Francisco, the drive on Hwy 1 rewards you with spectacular views. 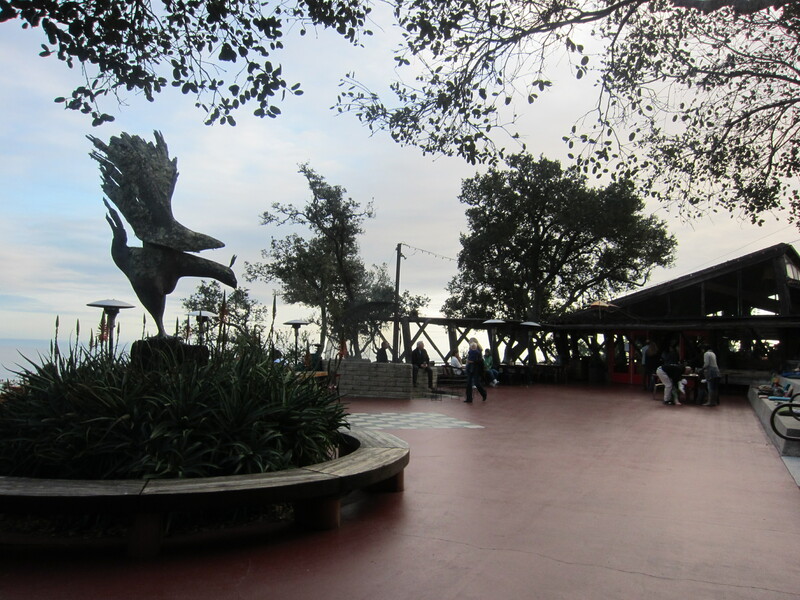 We stopped at a viewpoint and snapped some pics. 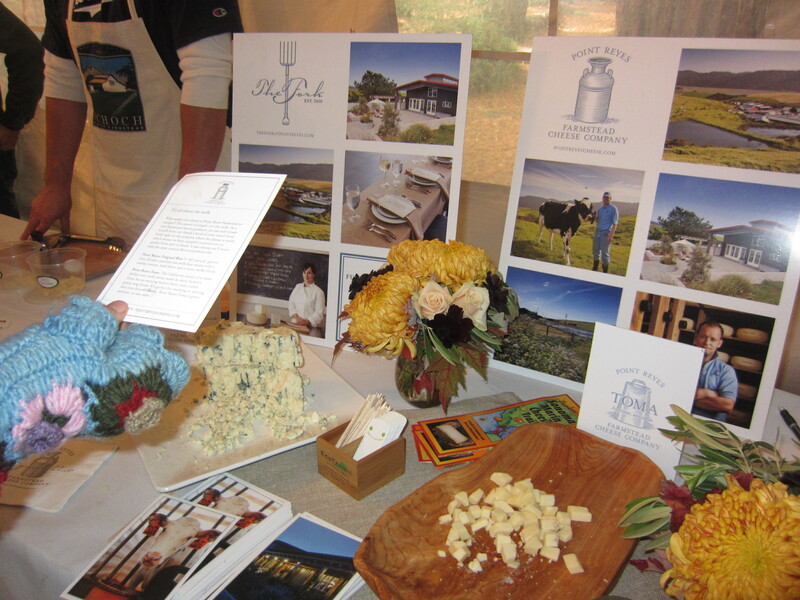 The Big Sur Food and Wine event actually spans a few days. You buy tickets for the individual events that you want to go to. 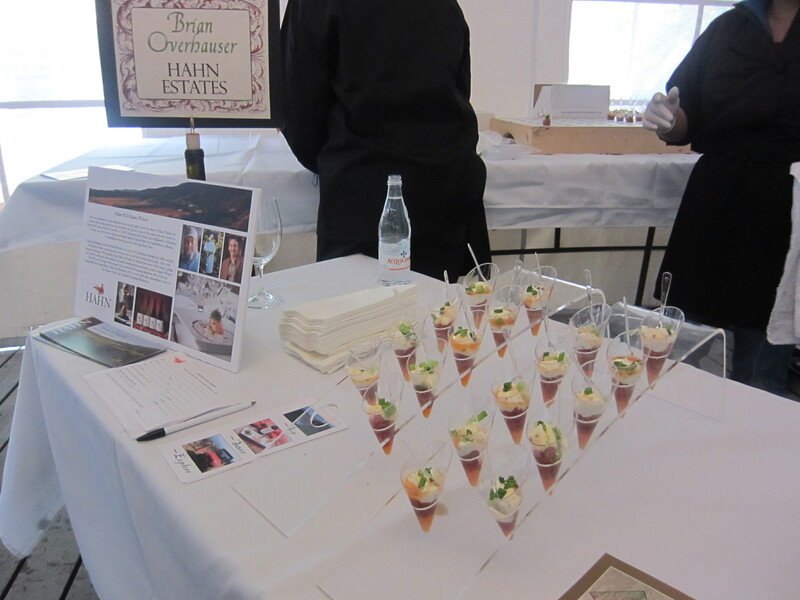 We chose the Grand Public Tasting at the Henry Miller Library. 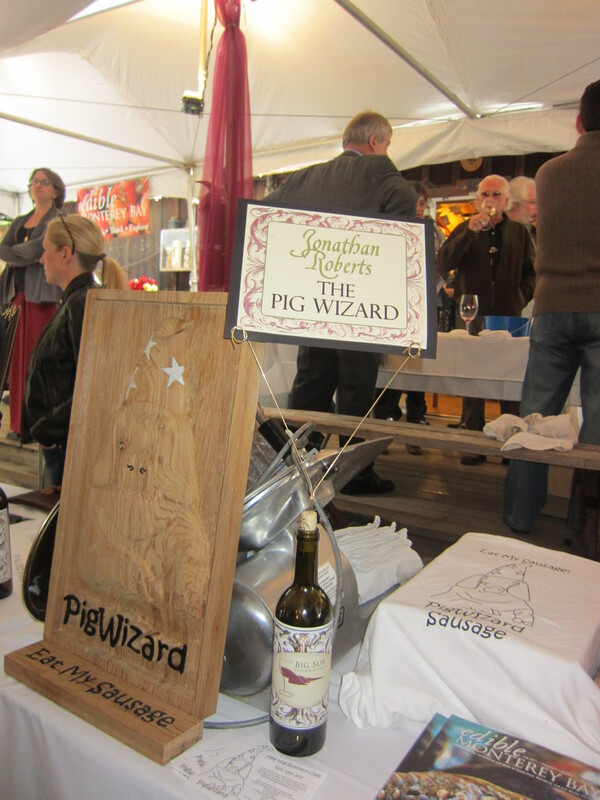 With a description of “40 wineries! 12 chefs! Silent Auction!” it was hard to resist. 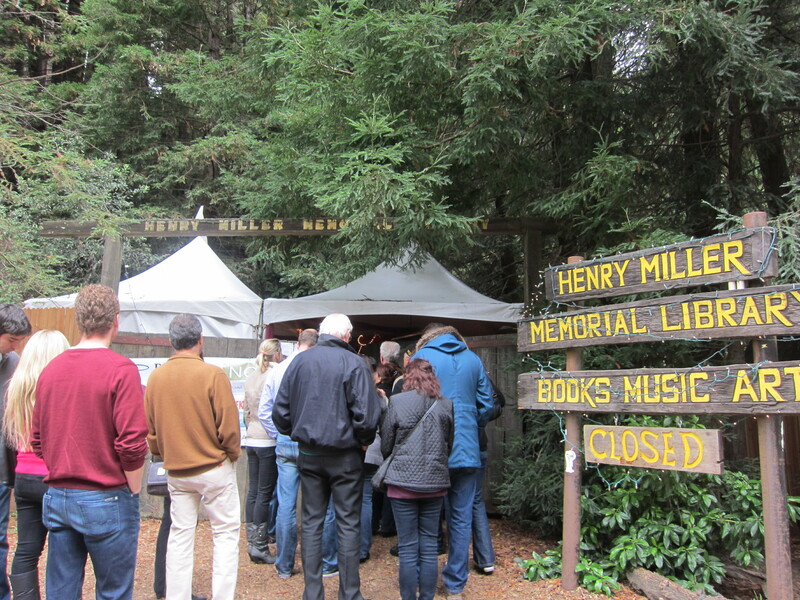 The Henry Miller Library is completely unlike any other library I’ve seen in a while. It’s in the middle of a grove of redwood trees and consists all of one room. Rather than a big, boxy building with sterile aluminum flooring, it looks and feels as if a well-stocked book lover’s living room. 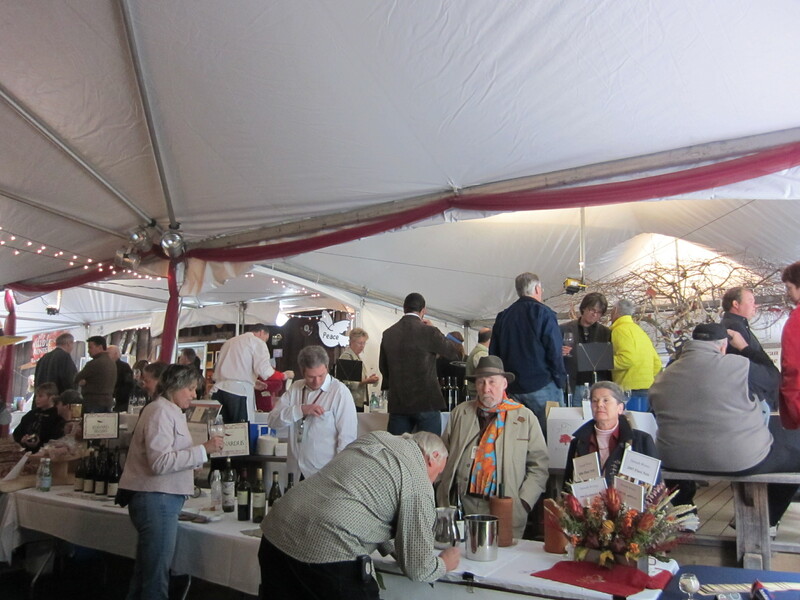 Once we got in, we spent the next few hours sipping wine from area wineries (although there were some from as far away as Napa Valley) and eating yummy parcels of food. 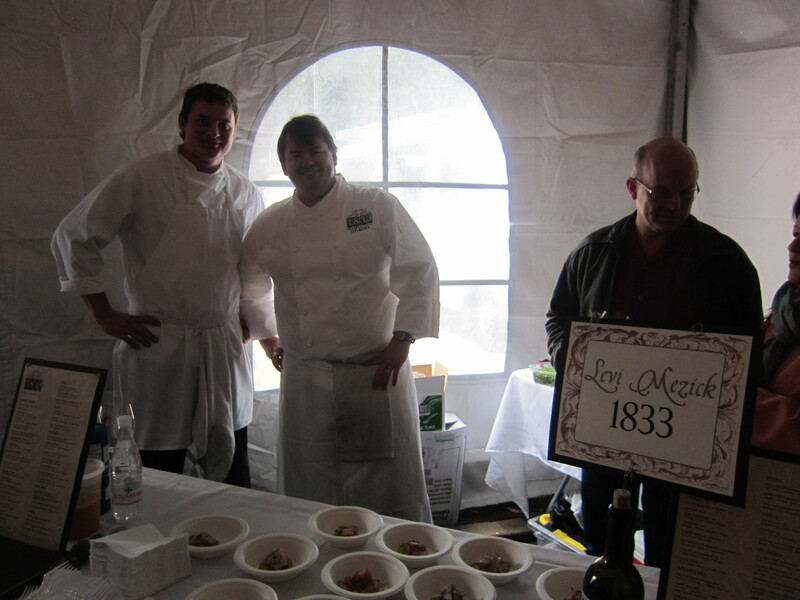 My favorite food at the festival was actually the cupcakes and truffles from Sea Stars. They were the most heavenly things. I got greedy and kept going back for more samples. Warning: do not venture over to their website on an empty stomach. 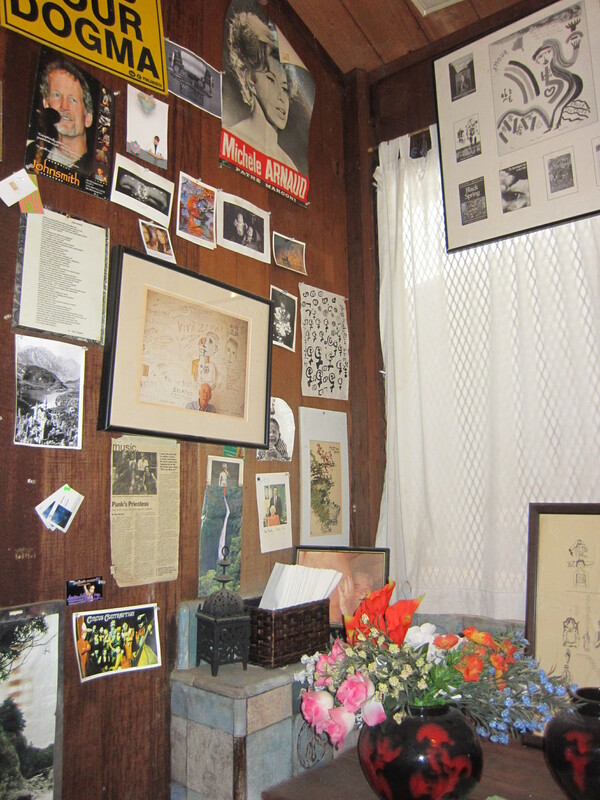 The bathroom of the library perfectly encapsulates Big Sur’s individualism and laid-back style. No matter how hard I tried, I couldn’t get Hubby to try any of these wonderful cheeses from the Farmstead Cheese Company. A Dutch man who absolutely hates cheese. What a crime! 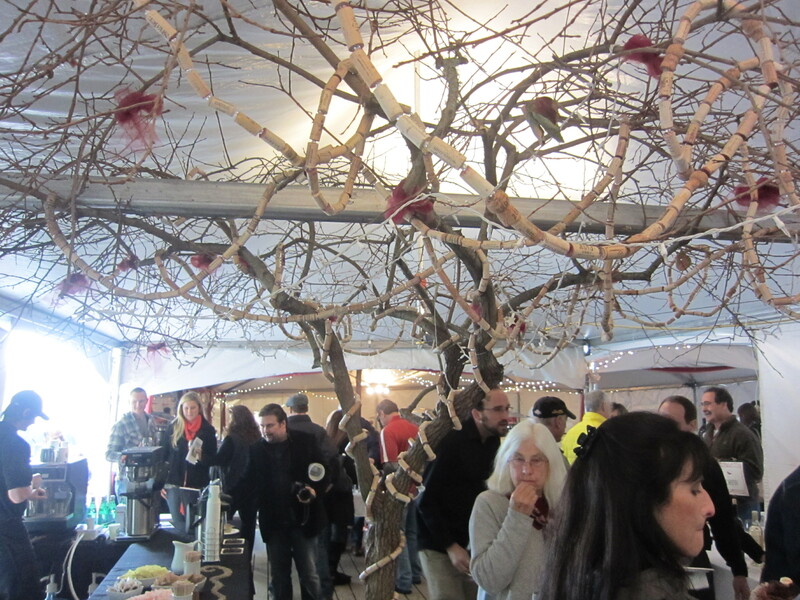 I absolutely love how they decorated this tree with a string of wine corks. Thrifty yet different and chic. The event ended with a live auction. It was certainly an experience watching people bid thousands of dollars for things like a private dinner with a celebrated chef, stays at Post Ranch Inn and exclusive wine lots. 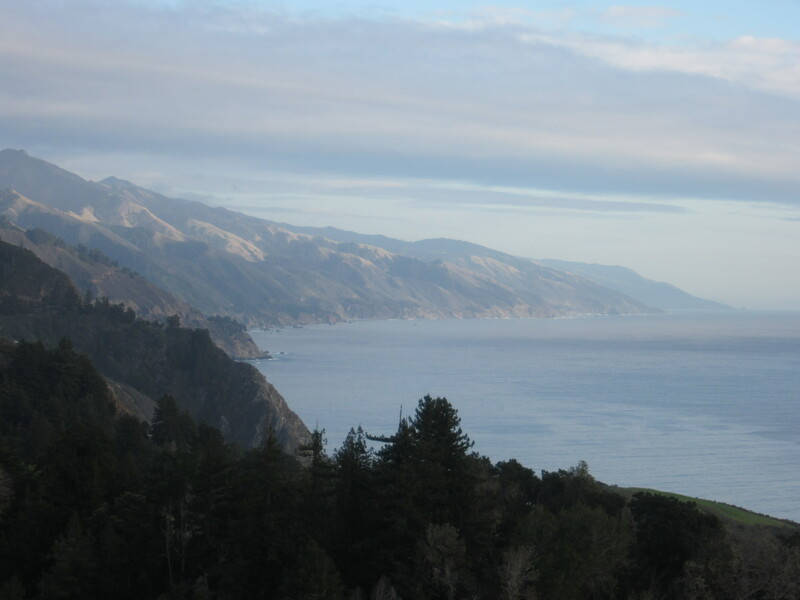 Once we got our fill of wine and food, we stumbled out and headed to Nepenthe restaurant, which has one of the best views in the world. The views were definitely gorgeous. Unfortunately, we can’t say what the food was like since the waitress hauntingly told us that there would be a wait for a table (even though there seemed to plenty of tables available). The attitude sent us away. All in all, the day was an absolute success and I can’t wait until it happens again this coming September.